We never fail to be amazed at the generosity of the Manor House school students and staff. 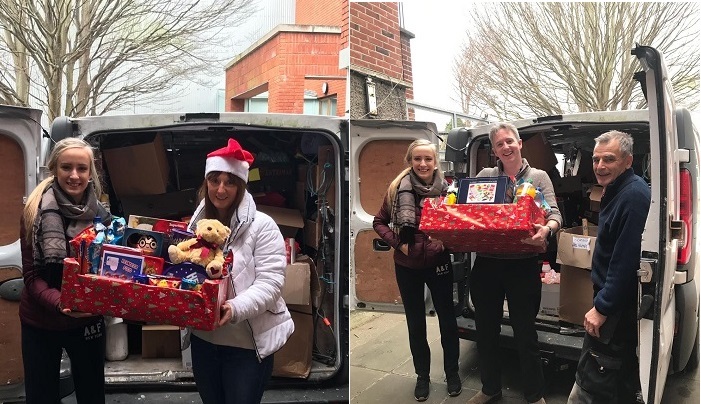 This year, 1765 items were donated for the hampers and €800 was raised for the Capuchin Day Centre. Thanks to everybody involved in this wonderful gesture. The 6th year prefects organised a three-course meal for around 200 senior citizens from the local community on Saturday 8 December. Click here to see a video clip that captures the wonderful spirit of the event. Click here to see professionally-taken photos of everyone who attended the party. In advance of the day, head girl Sophie Williams and prefect, Lauren Byrne, spoke to Noel McGuinness on Near FM about this wonderful party. For the interview, they are joined by two of last year's organisers - Hannah Lyons and Emma Ormond. Follow this link if you would like to hear their interview. The 6th year prefects and their teachers organised a Christmas meal for over 150 elderly and alone members of the local community. 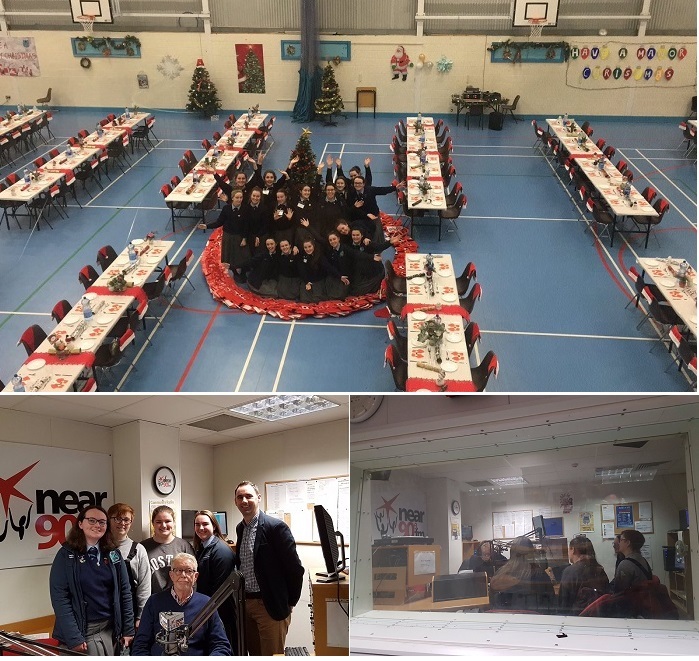 "Have a Manor Christmas" took place in our school PE Hall on Saturday 16 December, in association with Raheny Community Gardai. Here are some of the images that were posted by Mr Abrahamian on the Manor House Twitter account. They capture the atmosphere at the Manor Christmas Party held on 16 December 2017. More than 150 members of the Raheny community enjoyed a lovely afternoon with us. Well done to the 6th year prefects, their teachers, the Raheny Gardaí and the generous sponsors for contributing to such a memorable event! You might also like to check out the photographs taken by Leo "George" Davitt during the party.